Fun Fake News: The Russians Are Coming! The Russians Are Coming! The Russians Are Coming! The Russians Are Coming! The Russians Are Coming! The Russians Are Coming! "See? I Told You So." “By golly wow,” said Sarah Plain, as she appeared via a conference call before a Democratic committee to investigate the alleged Russian interference with the presidential election of 2016 and in the wake of President Trump’s one-on-one Helsinki meeting with Russian President Putin. 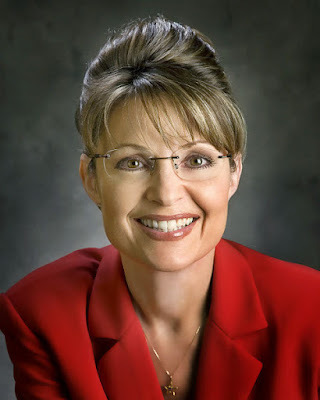 “I can still see Russia from my house,” said Sarah Palin, while she peered through a telescope, across the Bering Straits over and out to Russia. The former Republican vice president candidate once mocked by SNL’s Tina Fey’s portrayal of her as a conservative caricature has now ironically become the point man for the Democratic party in their effort to single-handedly revive the Cold War. Among growing criticism that the Democratic National Committee (DNC) is putting partisan politics above the nation’s best interests, a spokesman for the Grand Old Party (GOP) recently stated. “I just hope we’re not too late,” said a spokesman for the GOP. “Midterm elections are just around the corner."